Do you know the easiest way to kill a dragon? Just stuff a sheep or ram with a heap of poisonous filth and feed it to a dragon. Of course it's not the most heroic method but it is very safe and effective. 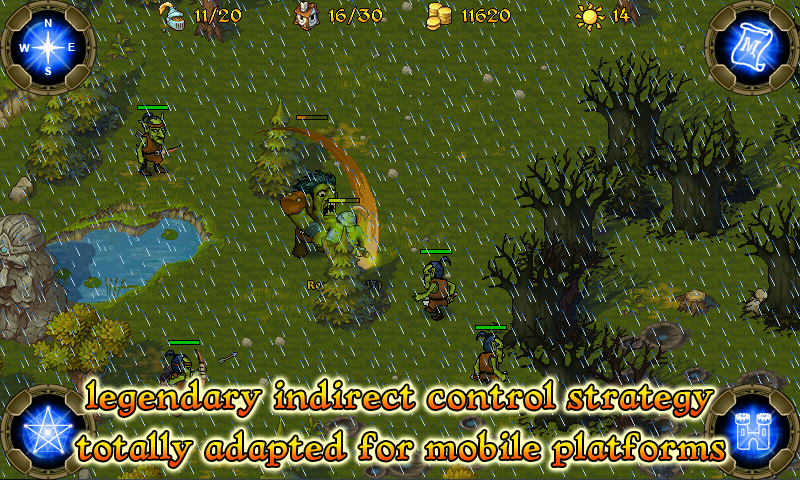 Another option is to announce a reward for the dragon's head. 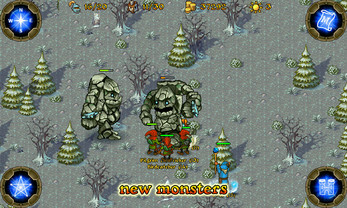 After that the only thing you have to do is wait while the army of heroes, wizards and freaks drive a monster to its grave. It is always necessary to find a solution to the dragon problem because all the members of this scale-winged tribe have the same disease. It is a strong allergy to humans and their settlements and all dragons use the only medicine against this illness; total annihilation of the humans. 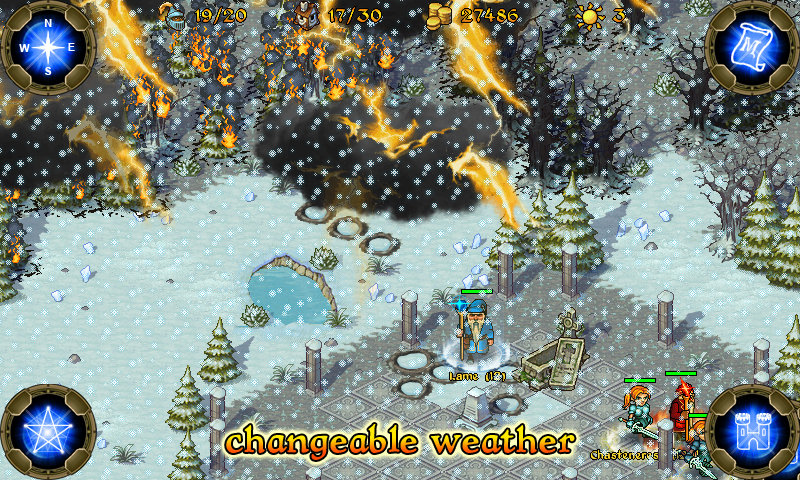 Troubles with dragons are in the forefront of Majesty: The Northern Expansion. 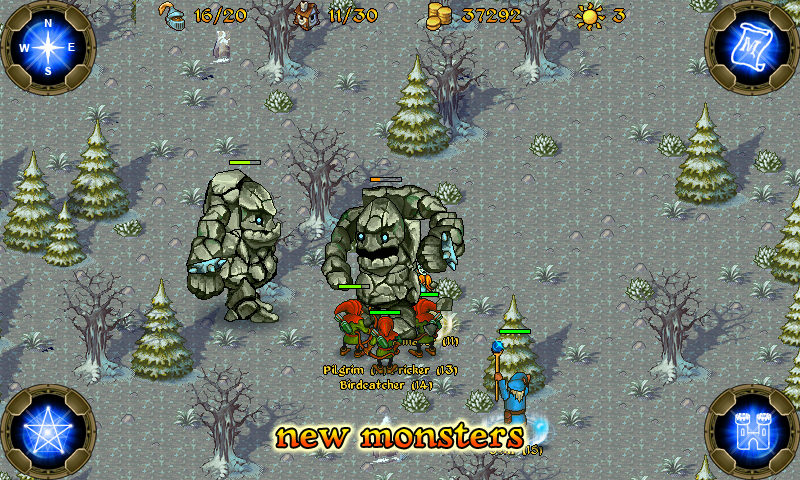 Of course you'll have to defend your kingdom from the other evil spawns, for example how about the giant stone golems that have an outstanding amount of hit points? Expanding the territory of your kingdom and starting the northern expansion in the land of the frost and winter you'll have to rack you brains over the riddle of fire-spitting monsters. 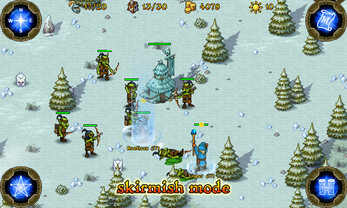 All who liked the original mobile game Majesty: The Fantasy Kingdom Sim will undoubtedly be pleased by its add-on Majesty: The Northern Expansion which gives an opportunity for players to continue their conquest in a new snowy location. Among the key features of this add-on are improved graphics, changeable weather and the integration with social networks. 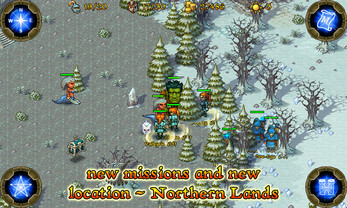 Majesty: The Northern Expansion - it's time to feed the dragons!